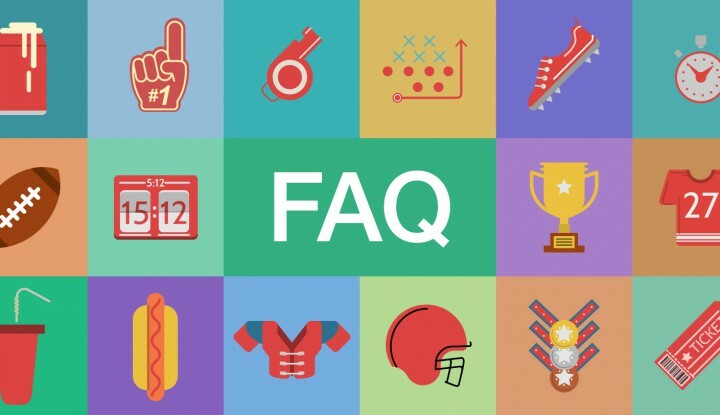 FAQs: What You Need To Know About Super Bowl LI 0 out of 5 based on 0 ratings. 0 user reviews. You’ve got your Super Bowl party invite, you’re gearing up for a weekend of all things NFL, you’ve pulled your favorite Super Bowl jersey from the closet. 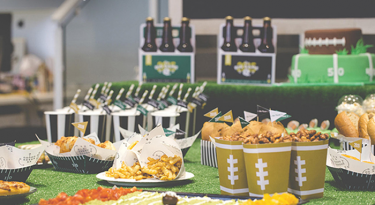 But, no matter if you’re a diehard Super Bowl fan, or just in it for the beers and buffalo wings, you’re going to want to have something to talk about when it comes to your knowledge on the Big Game. We’ve gathered some fun facts to help you relive the glory of the Super Bowl 50, and get ready for this year’s football showdown. Super Bowl 50 was an epic showdown between the Denver Broncos and Carolina Panthers in a 24-10 win at the Levi’s Stadium in Santa Clara, California. But what is the Super Bowl? The Super Bowl is the annual championship game of the National Football League (NFL) – the highest point of a season that begins in the previous calendar year. When was the first Super Bowl? The first Super Bowl, Super Bowl I, was played on January 15, 1967, following the 1966 regular season. What’s with the roman numerals? The NFL tradition to use roman numerals started in 1971 at the first Super Bowl after the AFL-NFL merger. Kansas City Chiefs owner Lamar Hunt, who also coined the term “Super Bowl” thought that roman numerals gave the championship game a sense of grandeur and gravitas. When is Super Bowl LI? The NFL Super Bowl LI will take place on February 5, 2017, with kick off beginning at 1:30 pm local time (GMT -6). Super Bowl LI will be a tough match between the reigning champs, the New England Patriots, and the Atlanta Falcons. According to Vegas, Brady’s bunch is favored by a 3-point margin. Where is the Super Bowl being held? Super Bowl LI will take place at the NRG Stadium in Houston, Texas. How many seats are in the stadium? The NRG Stadium has a maximum capacity of 71,500. Though it sounds a lot, it’s Super tricky for fans to get their hands on tickets. How can you get your hands on a Super Bowl LI ticket? The answer goes like this. Each contesting team receives a percentage of tickets, each gets 17.5%. Because Texas is hosting the game, Texans will get 5% of the tickets. The other 29 NFL teams are given 1.2% of the seats and there’s a lottery among season-ticket holders. The NFL league office takes the final 25.2% of the tickets. 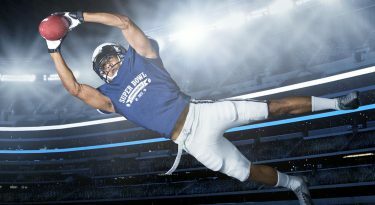 You can also try you luck getting a seat from a number of authorized online ticket brokers including TicketsNow.com, Ticket Liquidator, Ticket Exchange (official NFL BROKER), sbtickets.com, ticketbis.com and more. Which network will broadcast the game? The Super Bowl is alternated between NBC, CBS, and FOX. This year, FOX will be broadcasting the Big Game. How many people watched the 2016 Super Bowl? The most-watched annual sporting event on television racked up an impressive 144.4 Million people on NBC, making it the third-largest record in TV history! Though ratings fell short of the previous year’s record, maybe this year you too can be part of broadcast history in the making. Why is the Super Bowl called the Super Bowl? Who’s performing in the Halftime Show? Since Coldplay, Beyonce and Bruno Mars all showed up to the Super Bowl 50 halftime show, we thought this would be a hard act to follow. Not for this super star. Lady Gaga is set to return as the headline act on the biggest stage of all, the Pepsi Zero Sugar Super Bowl Halftime Show – giving us a Million Reasons to fall in love with her once again. How much food is consumed on Super Bowl Sunday? The Super Bowl is one of the biggest junk food fests of the year for many Americans – even though some health brands are buying Super Bowl commercial air time. (Avocados anyone?) So how much food is consumed? Though figures tend to be exaggerated, Pizzerias estimate a staggering 60% increase in take-out orders, while other traditional Super Bowl foods such as guacamole see over 278 million avocados being purchased, 11.2 million pounds of potato chips, and 1.3 billion chicken wings – that’s enough to feed every American citizen 4 wings each! What was the best-selling jersey for Super Bowl 2016? According to the NFL Shop, the top selling Super Bowl jersey of 2016 was the Ezekiel Elliott jersey. Though it may come as a surprise to some, the running back for Dallas Cowboys represented hope during a dismal 2016 season. Plus the fact that he was one of the most epic football players of the year. Which coaches have made Super Bowl history? Fans tend to get fixed on the players, there have been a number of coaches that have made their mark on Super Bowl history. For Super Bowl XV, The Raiders’ Tom Flores, of Hispanic descent, became the first minority coach to win the game. In 2007, Tony Dungy became the first Black coach to win the Super Bowl. The Indianapolis Colts coach competed against Lovie Smith, making them the first two Black coaches to lead the game. What did the 2016 Super Bowl Champions get? The winning team players for Super Bowl 50 each took home $97,000 each, while losing team squad members received $49,000 each. For most NFL players being part of the Super Bowl and winning the “Vince Lombardi trophy” is enough. What makes the Vince Lombardi Trophy so special? This iconic trophy is more than an ornament of wonder. It also holds a treasured history of the “world-championship,” its greatest team players, and most celebrated coaches. The trophy, is in fact named after 1960s Green Bay coach, Vince Lombardi, and in his memory. Unlike many other trophies the winning Super Bowl team gets to keep the Vincent Lombardi Trophy. It’s made entirely of sterling silver, is handcrafted by Tiffany & Co., stands 22 inches tall and weighs 7 pounds! Each player of the winning Super Bowl team also gets to keep a smaller imitation of the original trophy. The 2017 Super Bowl Odds Futures are out. 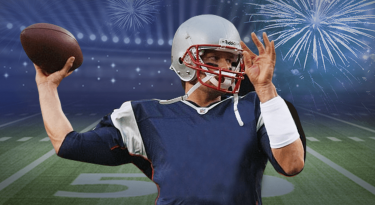 According to footballlocks.com The Super Bowl LI current favorites to win Super Bowl LI include the New England Patriots at +$165 (33/20), the Dallas Cowboys at +$450 (9/2), and the Atlanta Falcons at +$750 (15/2). Stay with us, to find out all your Super Bowl updates around-the-clock. Are you a fan of Super Bowl ads? Well, who isn’t? Watch teasers ads and more! Everything you need to know about 2017 Super Bowl Commercials!